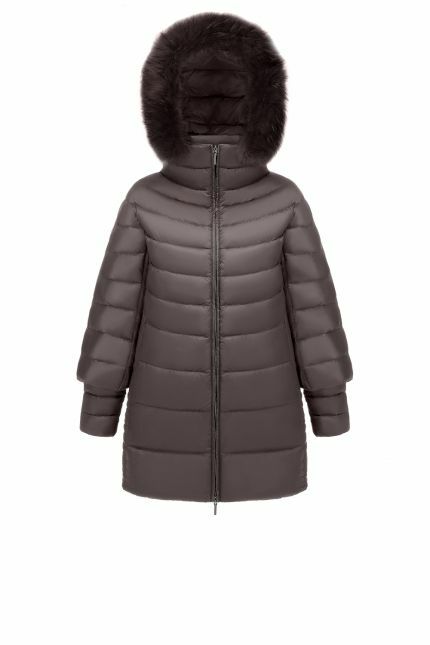 Hetregó Lienz dark grey down cape is a key wardrobe essential that never goes out of style. 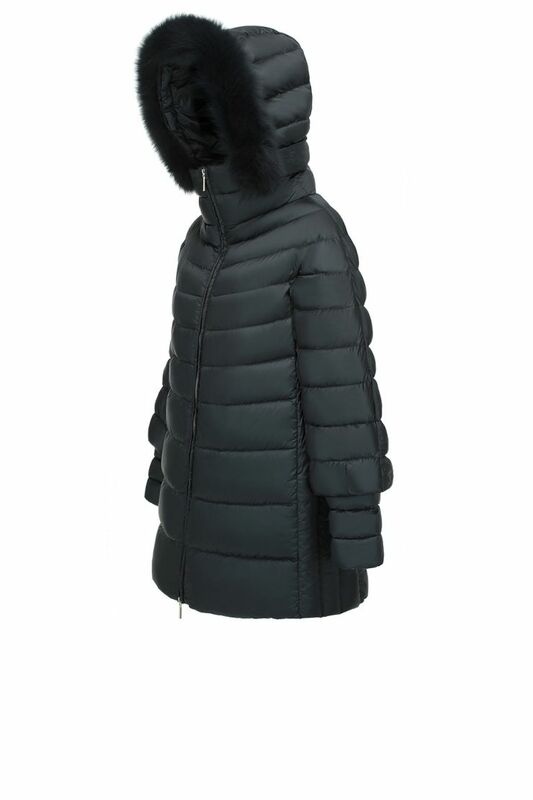 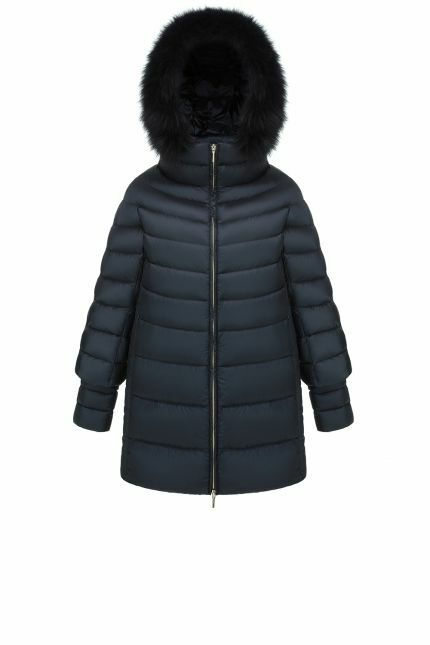 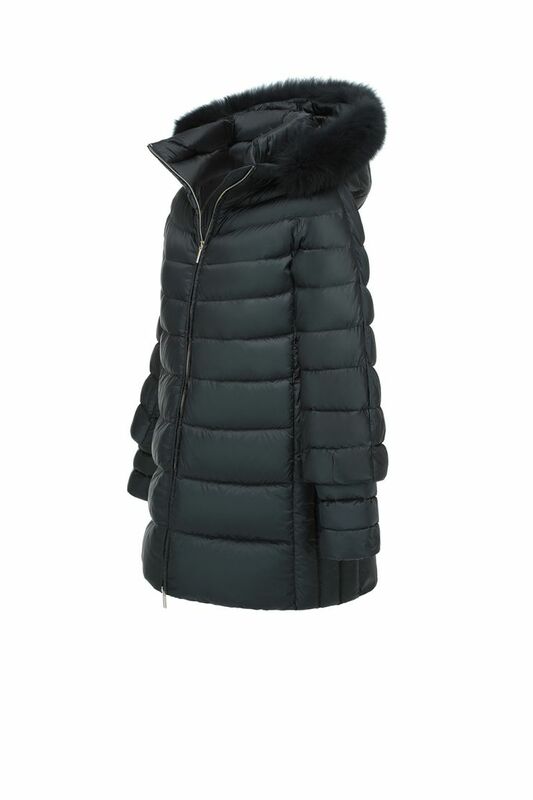 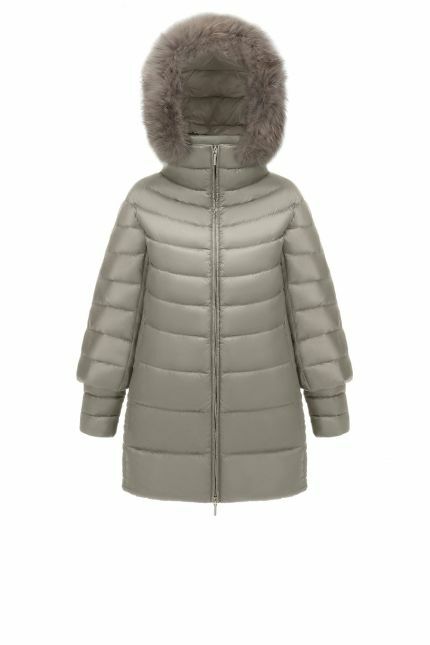 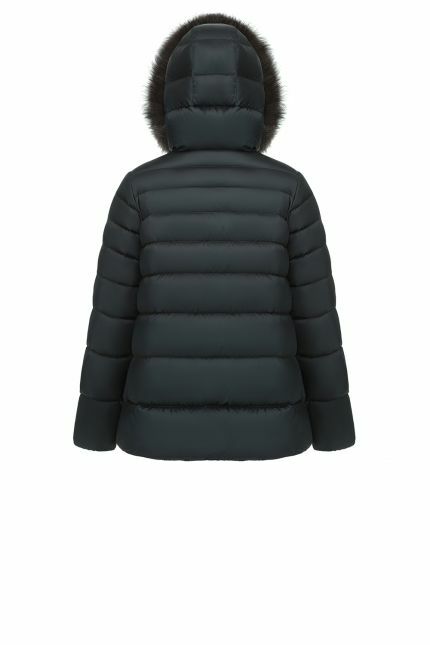 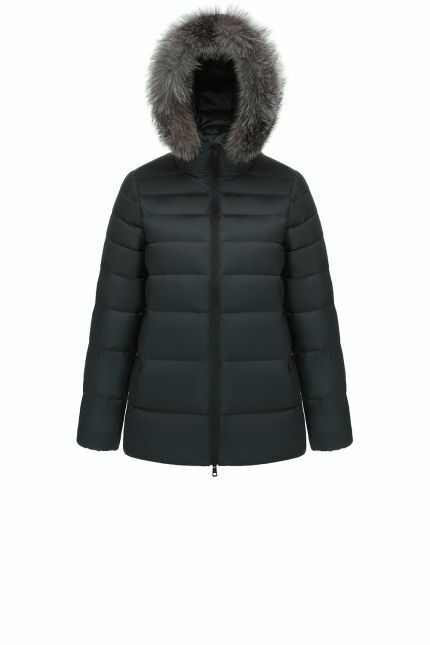 Padded in goose down and detailed with dark grey fox trim hood, this jacket is ideal for winter days. Remove the detachable hood for a minimalist design and play with the central two-way zipper for added range of motion or venting. 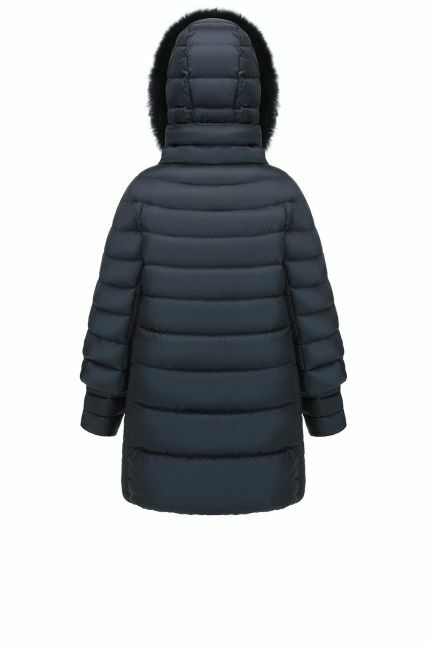 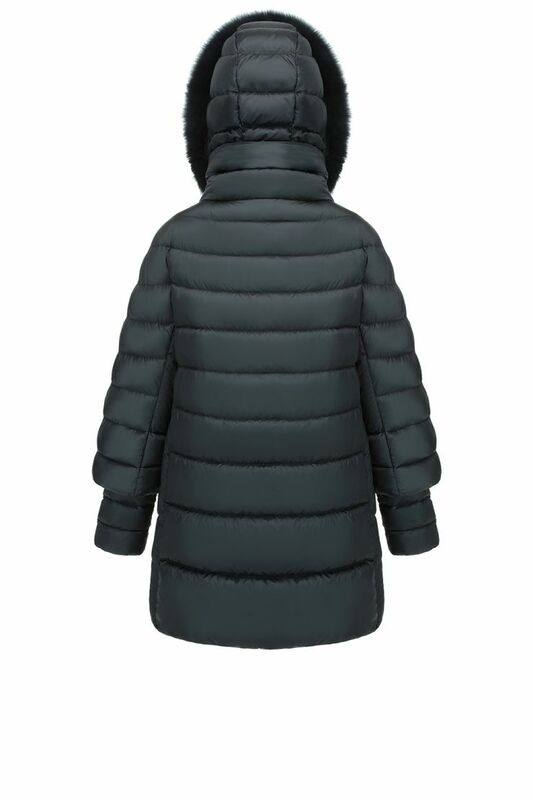 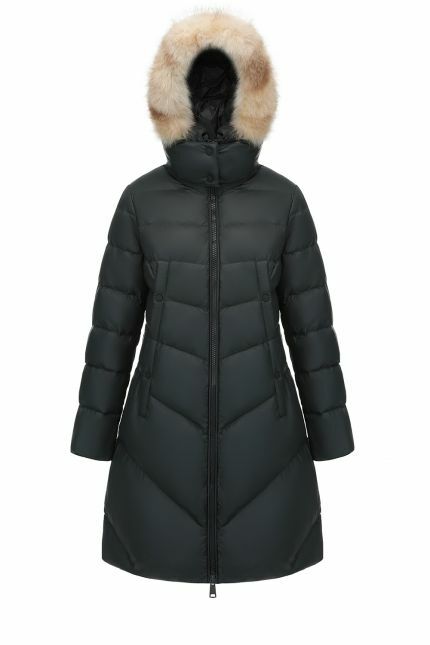 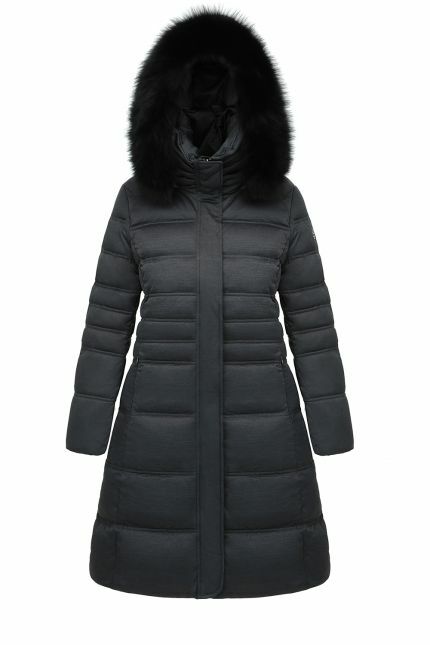 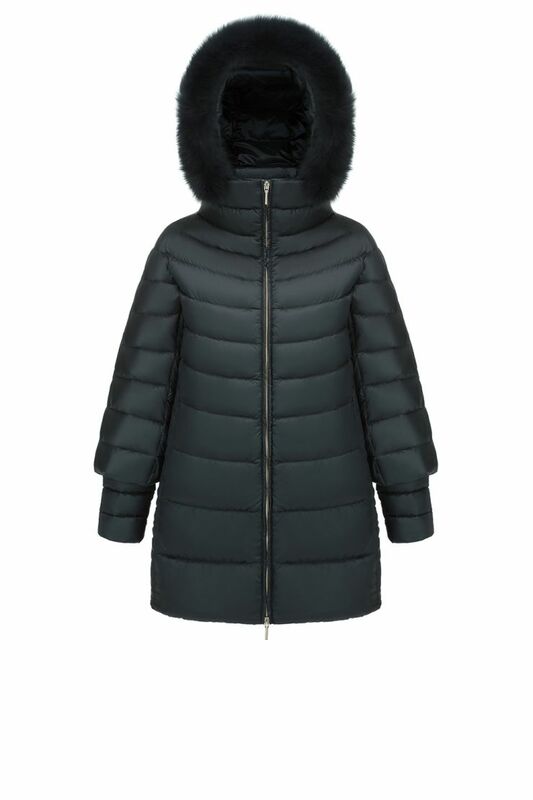 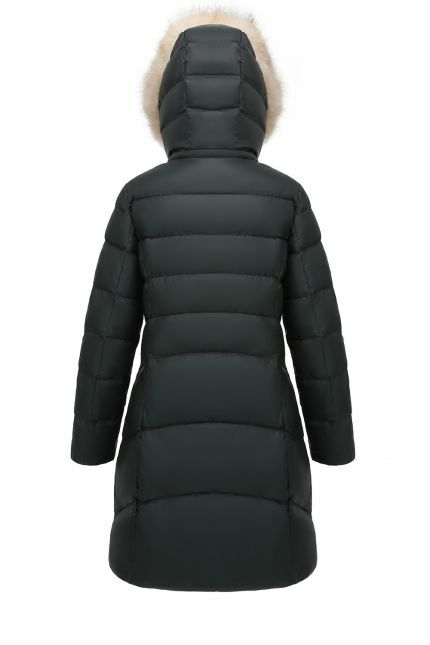 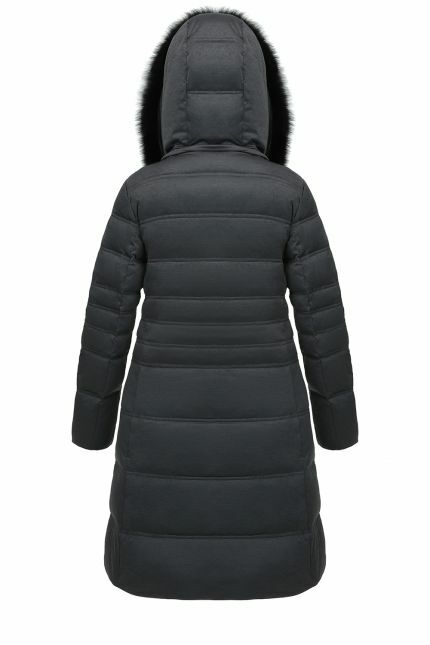 The style features two zipper welt pockets and a visual double fixed layering on the sleeves for extra warmth. 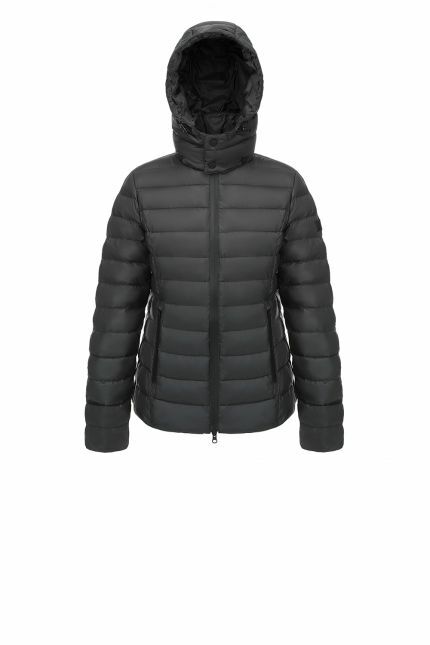 Water repellent and windproof, Lienz is one of our best seller: this padded jacket made in nylon has a dark grey lining and mid length.